� BANK NOTE 4040 is the $125,000 phenom that we have all been waiting for. 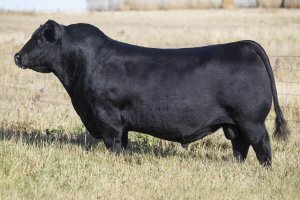 He is the performance bull that is stacked with maternal strength to increase value in both his sons and daughters. � BANK NOTE 4040 is currently in the top 25% in 7 different categories and is in the top 1% for WW, YW, $F and $W, 2% for RADG, and top 20% for $B. � His dam is the ideal Angus female that is impossible to fault, and she has shown her breeding potential through BANK NOTE and his maternal sister, Rose 1019. BANK NOTE daughters should be perfect uddered, moderate framed, easy doing, high volume and very complete made. 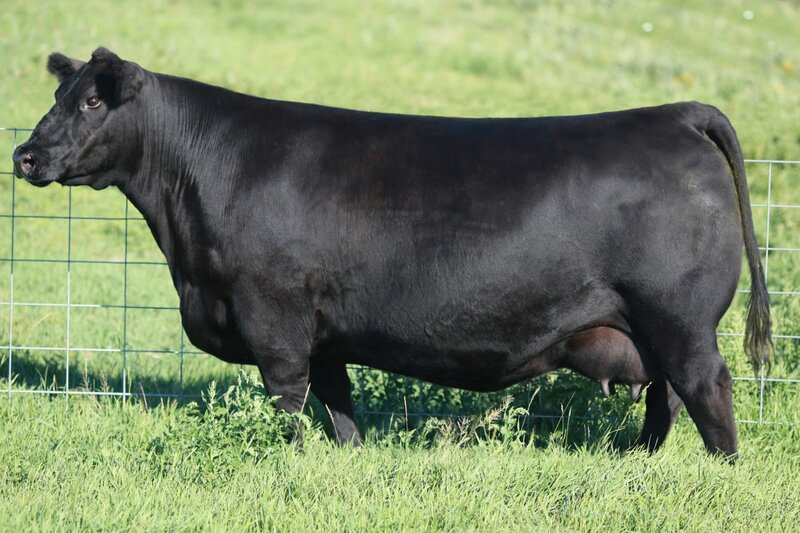 � From the ground up, BANK NOTE is an impressively sound individual that will add extra muscle, stoutness, and rib capacity in a very attractive package. He has won many banners in the show ring, but his true value will be as a bigtime producer for years to come.